Several times in this blog I've described how the Salt Lake Tribune and Deseret News, the two statewide newspapers in Utah, have failed miserably at covering the corporate crime petri dish in their midst, Overstock.com. Today we have the latest example. A day after the rest of the media, the Trib today finally got around to covering the lawsuit by seven California counties accusing Overstock of defrauding its customers by using phony price comparisons and inflated list prices. For a discount retailer this is about as serious an accusation as possible, for it means that you're not really a discounter after all--that your prices are, in this case, as phony as your accounting. The Trib article, a regurgitation of AP copy from yesterday, begins, "Utah’s Overstock.com Inc. is under fire from district attorneys in seven northern California counties who claim the online discount retailer regularly made false and misleading claims about the deals it offered consumers." In fact, Overstock has been "under fire" from seven northern California counties for the past two and a half years, and this is the first time the Trib has deigned to inform its readers of that fact. The Deseret News never has nor, to my knowledge, any other Utah paper. As I described in a blog post at the time, Overstock disclosed the probe by California authorities in April 2008, in an SEC filing and accompanying press release. The Trib ignored the story back then, and I trust it would have ignored the story now if the non-Utah media wasn't all over this story. At the Deseret News, the only coverage given to Overstock.com lately was this article mentioning in passing Overstock's support of a union-busting measure. Not to worry, Overstock, the Deseret News and the rest of the Utah media have got your back. I haven't updated this blog much lately because of the press of other (i.e., paying) business, so I was pleased to find this blog listed with nineteen others by Rasmussen College in a list of "20 Blogs Accounting Students Will Love." The very kind and appreciated kudo can be found here. Tracy Coenen's blog was also listed. I was a bit surprised that other, far worthier (than mine) and busier accounting blogs weren't listed (Going Concern, Jr. Deputy Accountant, Sam Antar's), but what the hell. In my Street.com column a couple of weeks ago I described one of the ways companies conceal bad news -- by burying it in the "risk factors" section of their SEC disclosures. I cited as an example my favorite corporate crime petri dish, Overstock.com. For the past two years, Overstock has buried news that its pricing practices were under investigation by California criminal authorities. Yesterday, the district attorneys of now seven California counties sued Overstock for $15 million, claiming fraudulent pricing practices. The counties had offered to settle with Overstock for as little as $7.5 million, but Overstock refused. No wonder: if the company had coughed up such a substantial amount of cash, it probably would have been driven into bankruptcy. "Beginning no later than January 1, 2006, Overstock routinely and systematically made untrue and misleading comparative advertising claims about the prices of its products," the civil complaint states. "Overstock used various misleading measures to inflate the comparative prices, and thus artificially increase the discounts it claimed to be offering consumers." The company's general counsel "denied the allegations in the complaint and said the district attorneys failed to understand how Overstock advertised its prices." No, actually it seems to me that the DAs understood how Overstock advertised its prices. The reaction of the market to this news, which emerged after the markets closed last night, is intriguing. The stock is actually up substantially. The reason for that is simple: fraud is already incorporated into the share price. This company is under SEC investigation for systematically cooking its books. Why should consumers be treated any differently than shareholders? Overstock is pretty shameless in its fraudulent pricing. As noted in the lawsuit, BusinessWeek surveyed its pricing practices back in 2004 and found that it systematically overstated "list" prices. For example,"of the 92 Toshiba and Panasonic products available Mar. 2, 40 had list prices higher than the manufacturers' list." 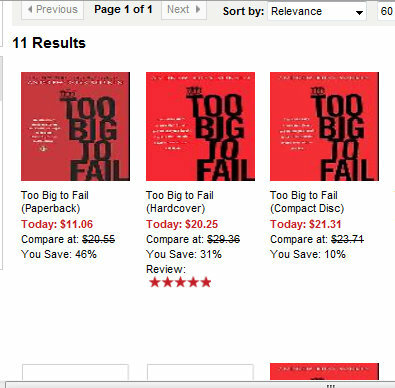 Just for the heck of it I checked out Overstock's price for the paperback edition of Andrew Sorkin's Too Big to Fail. The price at Overstock is $11.06 and the search page for the book fraudulently says "compare at $20.55" and "you save 46%." Baloney. 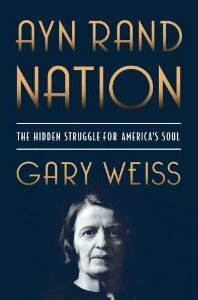 The biggest online retailer, Amazon, lists the book at $9.90 and gives the list price as $18.00, not "$20.55." Barnes & Noble also prices the book at $9.90, and gives the correct list price. So where did Overstock conjure up that "compare at" price? The Future Felons of America outlet shop in Salt Lake City? 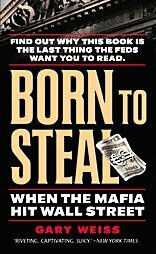 Misstating an easily determined (you look at the book cover or website) publisher's list price takes a degree of unmitigated gall, and contempt for the law, found only at Overstock.com. Seems that Overstock has as much contempt for its customers as it does for its long-suffering shareholders. UPDATE: Predictably, the two statewide Utah newspapers, the Salt Lake Tribune and Deseret News, always happy to run trivia like this, published not a word on the lawsuits. But numerous other media outlets have picked up on the story including an ABC affiliate in California. Hey, you can't buy publicity like that, especially at the beginning of the holiday season. UPDATE: Judd Bagley copped a plea to eight drug felonies in April 2013. 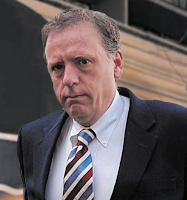 See "Closing the File on a Criminal and Junkie Named Judd Bagley," March 30, 2015. New developments today in the continuing saga of Overstock.com, my favorite corporate crime petri dish. Word has slithered out of Utah that the nauseating corporate shill Judd Bagley (left), CEO Patrick Byrne's personal dirty tricks specialist and manager of Byrne's Facebook stalking campaign, has been transferred from Byrne's "Deep Capture" blog back to the corporate payroll. As usually happens when Overstock wants people not to notice something, there was no public word of Bagley's transfer to the corporate trough. Word of that emerged from Bagley's LinkedIn profile, which indicates that he became "manager of collaborative systems" at Overstock in September. That was noticed by one member of the army of Byrne fans that keep tabs on his nutty escapades. Bagley originally was on the corporate payroll as a p.r. spokesman before he was transferred over to DC in 2008, and now he's back. There has been no activity on Byrne's Deep Capture site since a Bagley post in July, except for an incoherent post by Byrne in October. It's not clear why the plug was pulled in this fashion. Was it the ongoing SEC investigation? Intervention by Byrne's dad, who is now serving on the board? Or was Byrne just bored with the whole thing and moved on to another plaything? Hard to say. Whatever the reason, I'm sure that the shareholders of Overstock can rejoice at the addition of a slug of lead weight added to the company's payroll, and of course, the rank-and-file employees of the company can celebrate that they're working hard while Byrne puts a lackey on the payroll. Not sure was a "collaborative system" is, but my guess would be that it has something to do about spying on loose-lipped employees. Byrne's PR effort nowadays are desultory appearances on Fox Business News, and otherwise the "jihad" against the naked shorting bogeyman has gone down the tubes. Every official and unofficial study of the 2008 financial crisis has found his obsession was not a factor in the crisis, and most haven't even mentioned it. 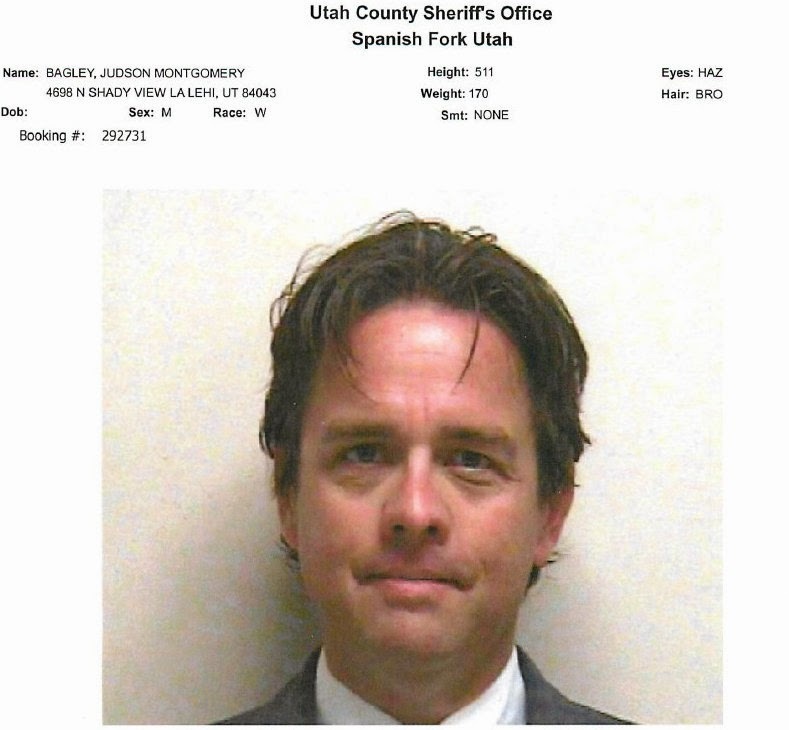 Interestingly, Utah corporate records show that Bagley remains "manager" and "registered agent" of Deep Capture LLC, with Byrne toady Evren Karpak still listed as "manager." It's not known if this means anything, or if it's just another sign of Overstock's casual attitude toward telling the government stuff. 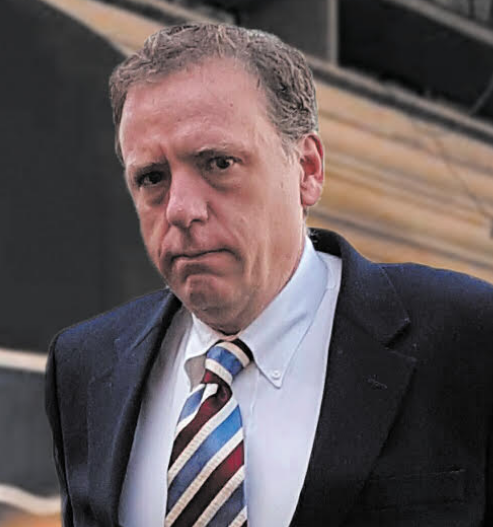 The fate of Mark Mitchell, the fired former Columbia Journalism Review editor and Byrne's chief conspiracy theoretician, is unknown. The biggest mystery of Byrne's corporate p.r. site remains unsolved: why did it take three people to manage a website that publishes rarely and serves mainly to salve the limitless ego of a bored CEO?